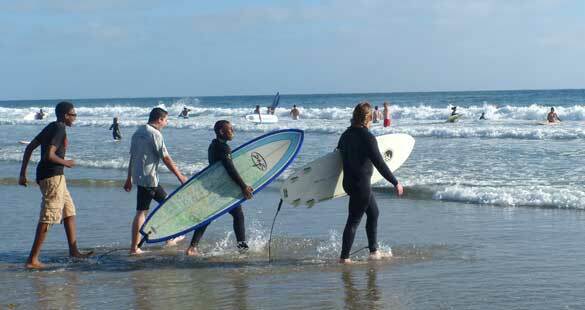 Annual, fun surf-a-thon held in Mission Beach, California that challenges participants to catch 100 waves in one day. In 2017, the event attracted 171 surfers and raised $373,000; overall, the event has raised $1,535,000 since its inception in 2010. The event has experienced 78% funding growth and 60% participant growth since its launch. The 100 Wave Challenge is the main funding source for the Boys to Men Mentoring Network (BTM), a San Diego-based nonprofit that connects fatherless teenage boys with positive male role models via programs during and after school, including group circles, surf nights, and weekend team-building camping trips. Features surf legend Shaun Tomson and World Championship Tour surfer Damien Hobgood. The 100 Wave Challenge also includes a Surf Angel program that allows non-surfers to particpate by helping one of the boys from BTM raise funds to surf in the event. Leading up to the annual surf-a-thon, BTM holds bi-weekly surf nights to give the boys a chance to practice, as well as to connect with male mentors. This year’s summer surf nights will be held from June 26, 2018 - August 16, 2018. Founded in 1996, BTM is a school-based mentoring program for fatherless teenage boys. BTM is currently partnered with 34 middle and high schools conducting over 50 weekly meetings and three open community groups throughout San Diego County. There are currently 25 schools throughout San Diego County waiting to implement the Boys to Men program, but the organization needs funding. 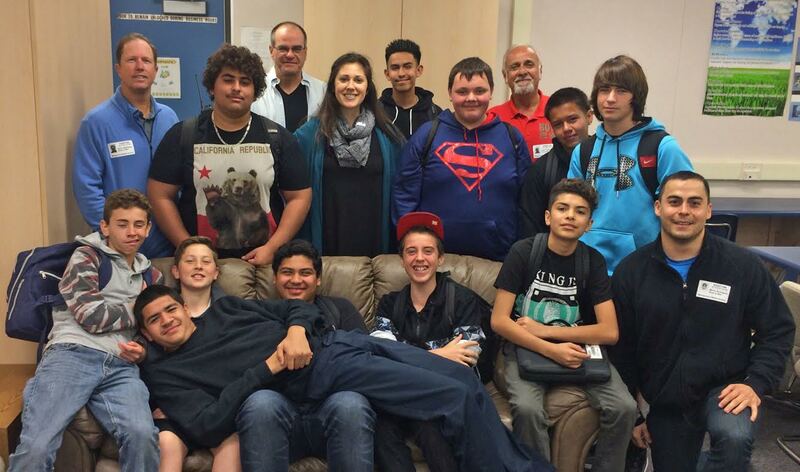 More than 7,000 teenage boys in San Diego County have been mentored through the organization since its inception in 1996. The nonprofit has programs in 15 active centers in 14 U.S. states and six centers outside the U.S.
33% of teenage boys in America are growing up without a father in their home. Fatherless teenage boys are nine times more likely to drop out of school, 10 times more likely to go to prison. Since 1960, the number of American children without fathers has quadrupled, from 6 million to 24 million. 85% of youths in prison grew up in a fatherless home. 73% of the boys in the BTM program do not have a father active in their life. It costs over $76,000 a year to incarcerate one inmate, but only $600 a year for one boy to be in the BTM program. For more stats and sources, please click here. School records show boys who participated in BTM for one school year improved their GPA by an average of 27%, while their discipline incidents declined by 85%. For more stats and info please read this case study. Watch this video on nine remarkable boys who talk about how eight months in Boys to Men changed their lives. To view more video success stories, click here.